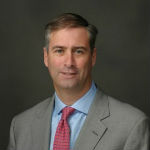 Michael Rafferty, of Manhattan, joined the Little Flower Board in 2006. He is the owner of Rafferty Holdings, LLC of Garden City, an investment banking and brokerage services firm, which includes Rafferty Capital Markets, Hilton Capital Management, & Direxion Funds. Prior to his current tenure, he was a senior trader at Merrill Lynch in New York. Rafferty is a graduate of Boston College.